All you need is a picture ID and proof of your current address to get a library card with CCPL! 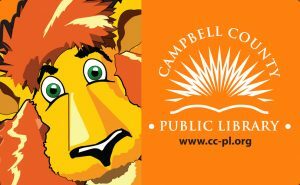 Stop by one of our branches to complete a library card application. Applications are now available in Spanish! Photo ID and another item showing the patron resides at the given address (recently postmarked mail, imprinted personal checks, property tax receipts, or other substantiated documents). A post office box is not considered a valid address to determine eligibility. A post office box may, however, be used as a mailing address in the patron record. For patrons under 18 years of age, a parent (or legal guardian) must present acceptable identification and sign for the juvenile. NOTE: Juvenile Limited Borrowers are NOT required to have a parent or legal guardian’s signature. Proof of the juvenile’s name ONLY must be presented for the card to be issued (textbook, school ID, mail, etc). Teachers, daycare providers, and homeschool instructors can sign up for a Teacher’s Card. The Teacher’s Card is in addition to a personal library card and is for professional needs and educational purposes. Users can receive books for the classroom, have children’s librarians visit their classrooms, or arrange for a tour of the library. Teacher’s Cards are not restricted to Campbell County teachers or residents. Just bring in current proof of employment at a school or day care or verification of homeschool participation to receive your card. Learn more about our resources for teachers. If your card is lost or stolen, notify us immediately. Lost or damaged cards can be replaced for a $1.00 fee. There is no charge to replace a stolen or worn out card. Learn more about our Digital Patron cards here.